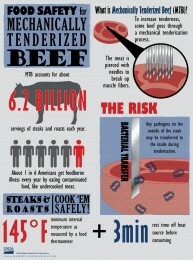 meat – You Asked It! 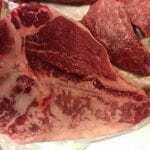 What looks like a highly marbled portion of meat, is actually a condition known as muscular steatosis. Other terms include “steatosis,” “callous,” “calloused lean,” “calloused ribeye,” “callus,” or “woody callused.” It occurs when muscle damage or nerve degeneration happens and fatty tissue permeates into the muscle tissue. In extreme cases, the fat can completely take over the muscle and become solid fat. This condition most often occurs because the animal was injured at some point in its life. Other sources of this condition include vascular abnormalities, biopsy locations, or when animals rear up on their hind legs. While it is still safe to eat, the quality will be very poor and tough. There are many color compounds in meat. One you may see is a rainbow or iridescent color. This can happen in cooked beef or lunch meat and also in cured meats. Meat contains iron, fat, and many other compounds. When light hits a slice of meat, it splits into colors like a rainbow. There are also various pigments in meat compounds which can give it an iridescent or greenish cast when exposed to heat and processing. Iridescent beef isn’t spoiled necessarily. Spoiled cooked beef would probably also be slimy or sticky and have an off-odor. It’s likely you’ve seen it. You take a steak out of the package and you see brown or discolored spots. It is still safe to eat? As long as the meat was kept cold and is not past its best-by date, most likely, it is safe to eat. If it smells, that indicates temperature abuse and some kind of bacterial growth. If it smells like good meat, it is safe. Cook it using a meat thermometer for best safety. The color change is due to oxidation. This turns the red meat color to brown. Meat color is controlled by the protein myoglobin. Within myoglobin is iron. When iron loses an electron, the color changes from red to brown. That brown protein is metmyoglobin. Oxidation occurs in several situations. Those situations include lack of oxygen, storage time, the presence of salts and marinades, freezing, and yes, bacterial growth. While food sales to your door may be convenient, meat sold at your door may not be safe. Reports have been made in other states of meat being sold out of trucks or backpacks. Reputable vendors will have a license to prove their business is reputable. Lack of refrigeration on the truck is a red flag that the vendor is illegal. Outdated meat or no labels on the packages is another concern. Some other ways to determine if the vendor is legit is to ask for literature that lists a sales office with contact information. Read the label and look for an establishment number for USDA meat inspection. Look for a grade shield on the package for quality. Ask for a retail permit or State license. A new meat cut, that used to be put into ground meat, is now a high-end treasure for beef lovers. The small, quarter-moon-shaped cut is a premier cut that is a close second in taste and tenderness to the filet mignon. 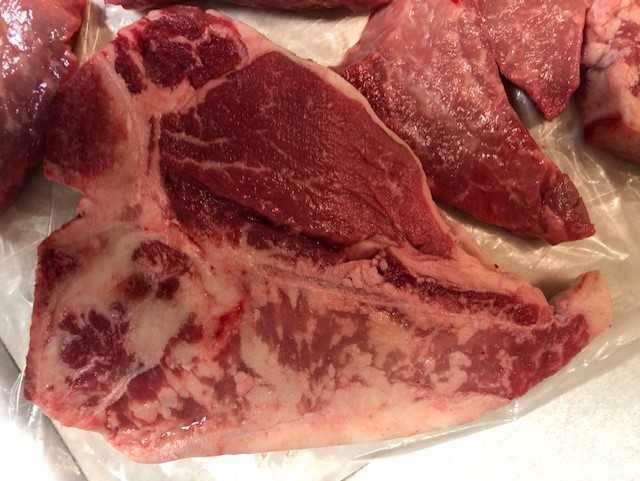 The new Bonanza cut is described as “juicy, extremely tender and very marbled.” It is best suited for fast high-heat cooking such as grilling or in a cast iron skillet. 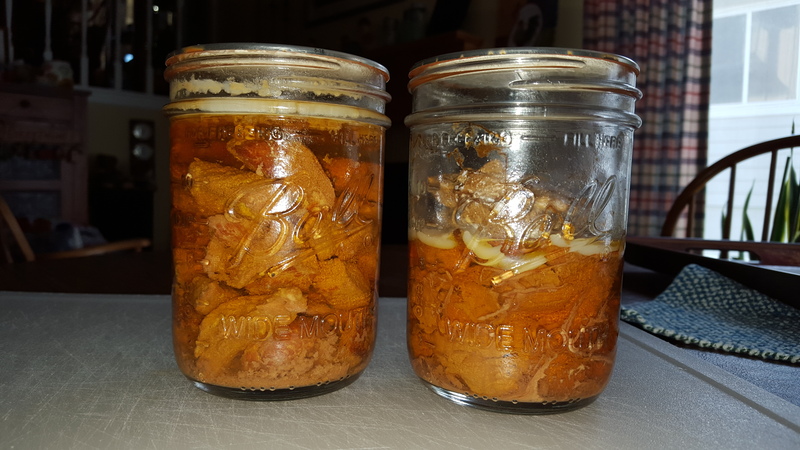 It can be marinated for added flavor, but only for about 30 minutes to maintain the meat flavor. The Bonanza cut is found at the very far end of the flat iron steak or the m. infraspinatus caudal tip. 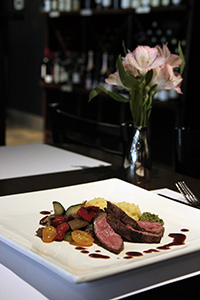 During meat processing, the flat iron steak is a part of the Chuck. The small end of that steak stays with the rib side resulting in the Bonanza cut. There are only two per carcass. The Bonanza cut is not in restaurants or meat markets yet as meat producers must decide availability. For more information on this new product, see http://www.unr.edu/nevada-today/news/2016/the-bonanza-cut. 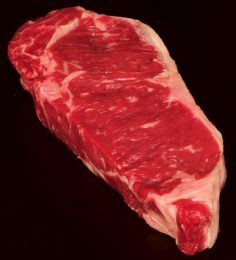 To help improve tenderness of some cuts of beef, the cuts of meat are mechanically tenderized. 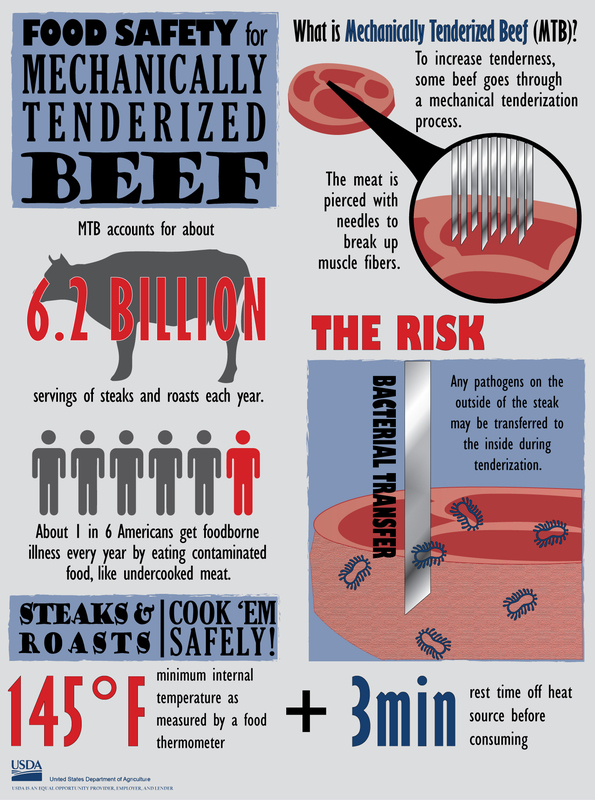 This means needles or sharp blades are inserted to break up the meat muscle fibers. This type of tenderizing can increase the risks of bacteria on the surface of the meat to be pushed inside the meat. If not cooked properly, the bacteria could lead to foodborne illness. The USDA now requires new labels for these products to give safe cooking instructions to consumers. For more information, see http://1.usa.gov/1VXZj8v.